Before we start lets be clear if you are not some one with portogueese or spanish rootsthen do not try to read the title loud and get the spelling and accent right before going for that. 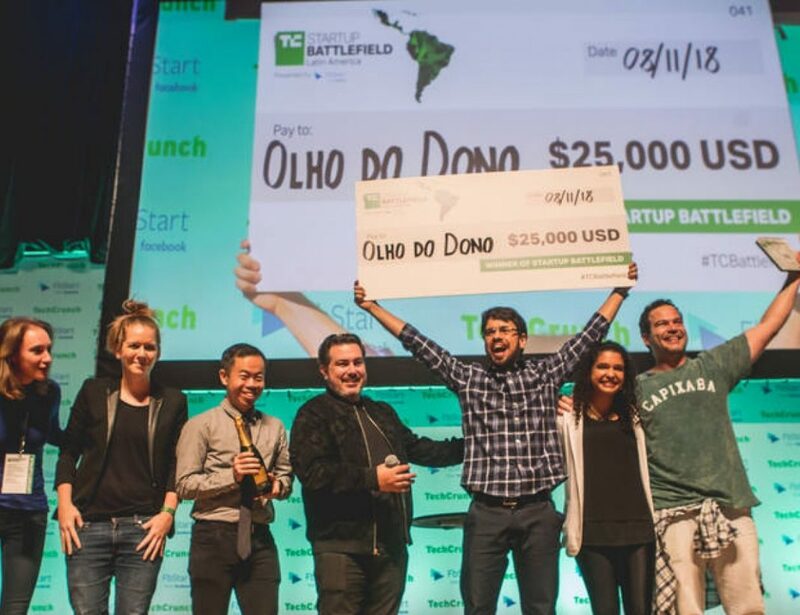 Despite the hard to pronnounce name, Olho Do Dono is an amazing startup that have proven itself in the highst level. Olho Do Dono have won the reward in battlefield latin ameria. In 2018 version of this award judges have come to the conclusion that Olho Do Dono is the best startup in this event. What Olho Do Dono does? What is Olho Do Dono you may ask? Or to be more precise, what are they doing as a startup. The answer is simple: Olho Do Dono is a software company that uses 3D camera for people who want to handle their cattle. Their software can estimate the weight of cow or sheep or any other animal in the cattle group and it is extremely useful because it can give people an estimation of the weight and size of animals and this is a percise indicator for people handling this business. They have done extremely well in the last year and its mostly because you can use this system with ease. It contains a portable camera and a softwate. More than 150 thousand users have estimatedtheir cattle using Olho Do Dono and they got the desired result with the highst level of success. This software has an app too and people can use the analytics on their mobile phone. In order to uuseit, customers shohld pay 3000 brazillian real and pay 1 real for each animal per criticsThe huge amount of users is showing their worth and winning tgis award is an approval stamp from critics. So we can say that this company is a startup you should keep and eye on and you will heare more from them in future.